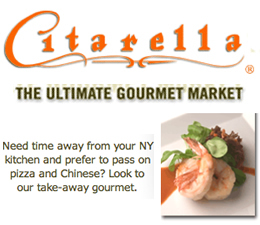 January 9, 2016 / Upper East Side Neighborhood / UES Restaurants / Manhattan Restaurants / Manhattan Buzz NYC. Continued. We chose a wine, during which the selection process began with a discussion of the available favored genres, accompanied by a friendly discussion about price, before we settled in on one of the more moderately priced bottles at $65. 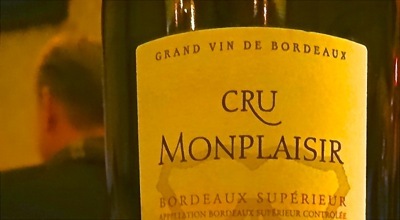 The Cru Monplaisir 2012, is a Bordeaux bearing a name which translates to ‘my pleasure’ … which I can confirm that it was indeed. It had been one long year since we’d last met, and our respective journeys through time and space had been challenging, but ending with some measure of satisfaction and accomplishment. The Greek Salad and Crab Cakes arrived. I didn’t sample the Greek salad, but it looked good and I was told that it tasted very good. 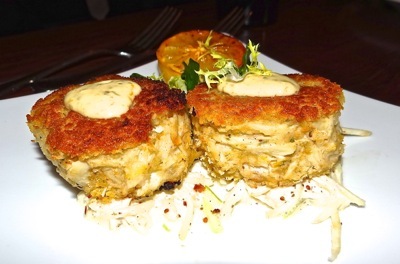 The Crab Cakes were flavorful, moist and of a pleasant textural mélange and of a hearty proportion. After the first bite I cleaned my palate with some fresh water, and then savored them bit by bit before returning to the pleasurable Cru Monplaisir 2012. 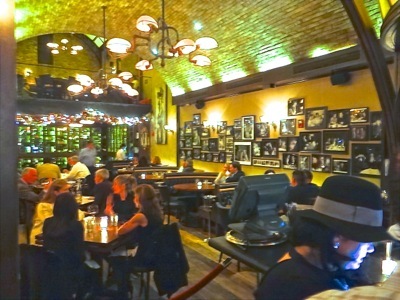 There was a hum in the restaurant, as the arched ceilings provided a voluminous amphitheater under which a cadre of real life and real time actors and actresses played out their roles. It was a weekday night and there was a small holiday office gathering of about a half dozen players only a table away. There were also tables of husbands and wives, boyfriends and girlfriends, and several of gatherings of old friends, including ours. 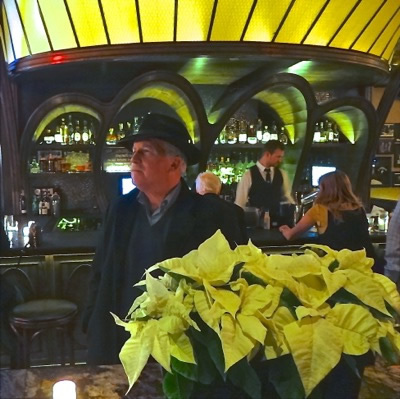 We were enjoying a bit of the holidays in Manhattan on the Upper East Side, where the feeling was pretty buoyant, and an ambient noise reflected the general sense of well being permeating the air. Not long after our appetizer plates had departed, Lauren arrived at our table with the Filet Mignon and the Double-Cut Lamb Chops. My poetic friend had ordered his steak done medium well. I sampled it and it was a very nice cut of beef, with good flavor, cooked to a tan coloring, and a little dry. About in line with my expectations of medium well. I, myself, never order anything cooked beyond medium, and quite some time ago I ceased ordering my food using rare, medium or well to describe what I wanted. I switched to describing the color I wanted to see when I cut the meat. I had ordered my Double Cut Lamb Chops a light pink, which was translated by the waitress to the chef, and that’s exactly what I received. 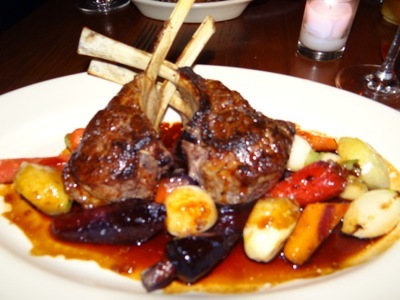 The Double Cut Lamb Chops were juicy, flavorful and accompanied by some delicious seasonal root vegetables. The Filet Mignon was accompanied with mushrooms, which added moisture to the mix. As the bottle of wine was nearing its end, the desserts arrived. A New York Cheese Cake with whipped cream and a raspberry; accompanied by a home made ginger cookie dipped in a custard or brulee, which was decorated with organic vegetable accoutrements . I had the New York Cream Cheese which was of a soft and lightly sweet texture. And our resident poet went silent for a few moments as he communed with the ginger cookie, reporting that it and the flan brought our repast to an enjoyable conclusion. We began wrapping up our conversation, while Lauren prepared the check, which came to about $225, not including the tip. 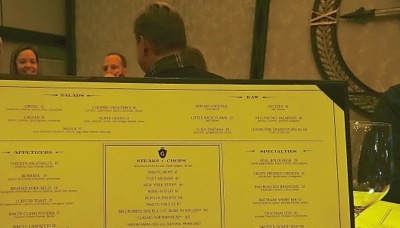 As it was a weekday, the restaurant population had thinned out by the time we made our way downstairs to the coat check. All in all it was a very enjoyable evening ... but I failed in my attempt to get a few preview poetic lines out of my published friend. I guess I’ll have to wait for the sequel to his poetic epic, Tapestry of Love and Loss. This map will show the location of the Arlington Club, one of the leading steak houses & sushi bars on the Upper East Side UES and this link will provide the contact information for the Arlington Club steak house and sushi bar on the UES Upper East Side.